Who runs the Valley Nerd Watch? Friends that is a mystery as deep as it is complex and mysterious. It’s obvious that someone produces the newsletter, and that whoever does has to be some sort of very charismatic genius. But WHO? That’s a question for the ages. Oh, wait no it’s actually James Olchowski. Hadn’t been checking the little WordPress byline. Right now he’s pretty much the sole content producer, but danged if he’s not going to keep writing using the royal we because it’s a heck of a fun time. 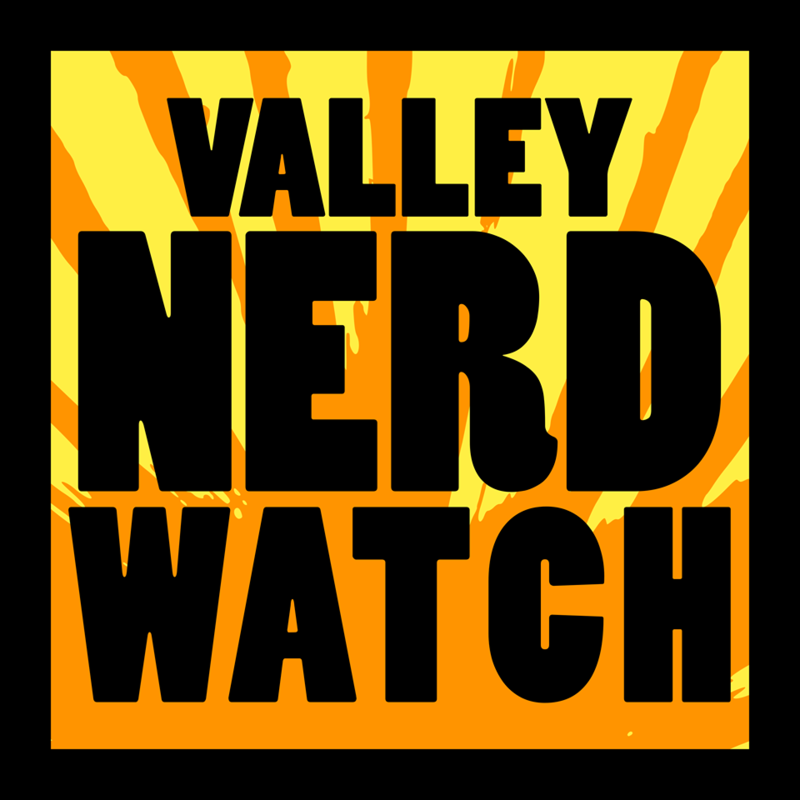 Who is the Valley Nerd Watch for? Well the obvious answer is nerds. But we want to make something clear: that’s a pretty inclusive term! Nerds come in all shapes and sizes, and none are more truly nerdy than any other. We want this blog to appeal to anyone at all who finds anything interesting about the events we help promote, the people we talk to, or the services we provide! Whether you’re someone who hasn’t played any card games with elaborate fantasy illustrations on them or a person who exclusively plays card games with elaborate fantasy illustrations on them, we want you to be able to rest easy knowing that the fact you heard about the event on the Nerd Watch means you’re going to be welcome! If you’re nervous about breaking into a new area of nerd-adjacent culture, let us know! We’ll try to figure out some way to help make it easier on you. At the very least we’ll probably give you a sticker! Why does the Valley Nerd Watch exist? Because of Edward Olchowski. Ed wasn’t perfect, but he was a very good nerd. He collected an enormous number of comic books, and spent every Saturday for a decade buying comics and reading them with his son while they ate somewhere just terrible enough to be delicious. Because of Bonnie Olchowski. Bonnie doesn’t really like comic books, and she must never find out exactly how much money Ed spent on them over the course of their marriage, but she’s a great nerd. She’s passionate about what she likes, but she doesn’t allow that to make her dismissive of what other people enjoy. Because of Sara Olchowski. Sara has always been a great example of the fact that being nerdy and being a popular person aren’t orthogonal. She doesn’t allow her interests to constrain which people she finds interesting. Because of this, she’s introduced a lot of people to things they might never have seen otherwise. Because the Pioneer Valley is full of interesting people, and we’re determined to make certain everyone knows it.